Ovi magazine has a number of certain unwritten traditions, which we follow year after year. One of them is the Christmas Day editorial, where we express wishes and hopes. That, as a beginning for what I should write. The last few weeks I have been overwhelmed with mails from all around the world from people expressing their wish to write for Ovi and it is very clear to me that most of them want to write mainly out of frustration with what is happening lately and their need to be heard. Because they feel that nobody cares. No, please don’t think of it as something good for Ovi and an example of how much we respect democracy and freedom. These people are of course welcome to write and we will publish their articles, but the big thing here is what has motivated this need. What makes a person who never wrote an article before to expose him/herself so publicly. Desperation. 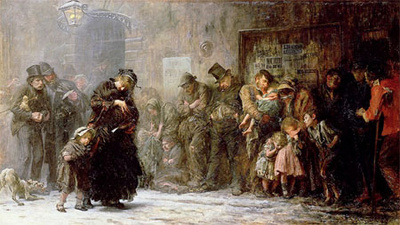 Loss of hope. Loss of hope. Loss of hope. In Finland the press has started feeling the authoritarian and corrupted breath of the Sipilä/Soini government, in Syria hospitals have been bombed, in Germany Christmas has turned into a bloodbath, in Yemen people die every second, in Greece Tsipras has failed even in basic things like protecting the constantly increasing numbers of homeless, in Turkey Erdogan has turned the country into the Midnight Express, in Britain Theresa has absolutely no idea what she’s doing, in Holland fascism and nazism increase, in France the fascist Le Pen might become president, in Israel Netanyahu feels that he can ignore the UN because his pal Trump will sort everything out soon, and yes …Donald Trump and Vladimir Putin. Two grown up men with the minds of a five-year-old and their fingers on the biggest nuclear arsenal in the world. And this is only the peak of the iceberg, underneath there are more, much more disturbing news. Hope is the thing that doesn’t exist. How can you have any hope left when a mean bully man-child will sit on the throne of the thrones for the next four years? A man you despise, you didn’t vote for, you had no right to vote for, a man whose office and jurisdiction is not even in the same hemisphere with you but still can influence in every possible negative way your tomorrow, and already - before even taking over his office – has started ruining your today. A few minutes before starting writing this I checked the articles that our contributors have sent for publishing and there it was.. all the frustration, one article after the other. Brexit, Yemen, Middle East, Trump, Germany, Finland, Trump, Trump …Trump. And in the end it was of course me who just like every other chance I wanted to remind you that every single day 30,000 children die in this world and we are still doing nothing. At least there is another Ovi tradition that carries its own strong feeling of hope. Also a Christmas tradition. A children’s’ book. A story with a happy ending. A story where magic happens and the good guys win. A story with a hero, spirit of hope, a snail name …Rudolph that lives in Santa’s workshop in the North Pole. 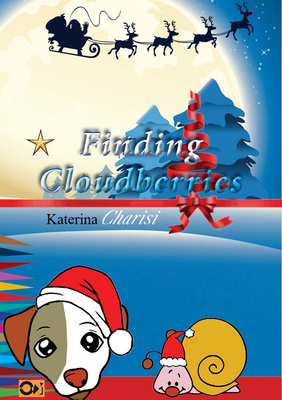 Katerina Charisi, the author, except a writer she’s also our correspondent at Santa’s Workshop, a liable source for all kind of information from the North Pole and the best person to tell you the story of Rudolph, Joe and the … Cloudberries! So just download the story: Finding Cloudberries, for FREE as always with Ovi books, HERE! full of health, love & peace.